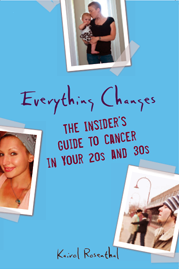 Everything Changes – The Guide to Young Adult Cancer » Crafting, Cancer, and Chronic Illness? Crafting, Cancer, and Chronic Illness? * Want a leopard print, tangerine silk, pink taffeta, or camo hospital gown? Try this pattern from Lazy Girl Designs. * If you are tired of visitors spying your pee-bag, this is an extremely simple pattern for a catheter bag cover. * In four steps you can crank out a polar fleece chemo cap . * For more great projects check out Sewing Stuff. Purchasing fabric can really add up. If you are penny pinching, buy discounted pillow cases at Bed, Bath, and Beyond, cut up your favorite shirt that has a small stain on the front, or dig around discount bins at JoAnn and Hancock’s Fabrics. Are you a crafter? What kinds of projects do you make? Have cancer boredom or the pain of healthcare costs impacted your craftiness? Anyone can do it (with a bit of engineering, woodworking, and composite skills). This one cost me about $50 in materials. I love building this stuff for the kids. Also did up a couple of “skateboard paddles” – will post pics soon. My mom made me several “bandannas” out of 3/4 yard of fabric. I wanted the ease of a bandanna with heavier fabric for colder weather so she just sewed the edges on squares of polar fleece. I wear them folded into a triangle and tied just like your fave red bandanna but they cover my ears and are warm. I like them better than hats right now. Easy peasy! Hmm….not sure how to send you a picture but I’ll try! Thanks for your blog…I’m a thirty-something blogger with Non-Hodgkin’s Lymphoma and I’ve been enjoying reading what you have to write! I am the proud inventor of the sleep scarf, which you can read all about over at my blog Oh My Ache and Pains! : http://goo.gl/fb/ylA95 It helps prevent your neck from getting chilled when you sleep.